Many things can affect the way a stringed instrument sounds, ranging from a poorly kempt instrument to a simple lack of practice. Here, we identify seven of the most important issues that can help produce a good sound on the violin. Regularly clean the violin and its strings. One of the reasons why an old, used violin sounds different from a brand new, clean one is a simple lack of cleanliness. Dust, sticky rosin debris, dead skin cells and sweat can alter the physical makeup of a violin and ultimately change the way the instrument produces sounds. On a dirty violin, sounds are muted and notes are difficult to distinguish from each other. They’re muted so much, in fact, a violinist can’t properly exercise some specific techniques that might be required in a song. An example is the staccato technique. On a dirty, muted violin, the staccato technique loses the lingering ringing sound that this style of playing creates. Keep your violin clean by wiping its body with a soft cloth. You may need a little extra, but gentle, rubbing on the areas that collect fallen rosin: the bridge and under the neck. 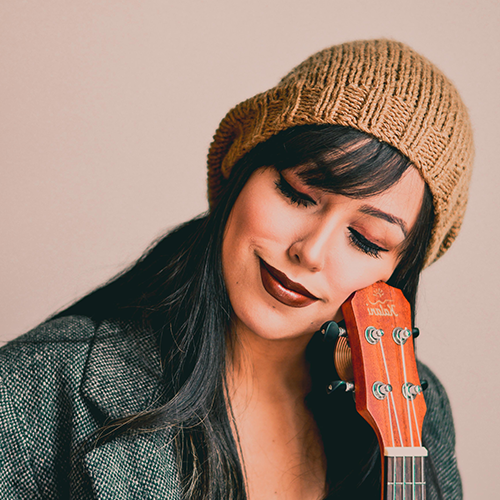 Rubbing alcohol can help loosen and remove rosin and dust on the neck as well as on the strings, which are likely to collect dead skin cells and sweat. A loose bow that isn’t sufficiently rosined can’t grip violin strings and create the friction that’s needed to produce strong sounds. When tightening the bow, leave a minute amount of slack in both the hair and wood so that the bow isn’t so tight, it loosens and pops its hairs. When rosining the bow, scratch the rosin with your fingernail to produce a small amount of powder and then gently rub it onto the bow hair in short strokes along the bow’s hairs. A tuner does two things. It, first, gives you the correct pitch of each violin string. Without this basic requirement, a violin will sound awful no matter how strong and confident its player. Second, it forces the violinist to pay attention to pitch. In order to check the pitch, some folks head over to find some keyword tools to zero in on how to get the violin’s pitch to be perfect using the best tuners. Tune your violin correctly by gently pushing and pulling its knobs back and forth until you achieve the right pitch. Listen with not only your ears, but with your body as well and feel for a synchronized vibration. Generally, a poorly matched pitch will create a more significant vibration than a correctly match pitch. So if you feel a lot of “shaking” going on – even if it’s subtle – something is out of tune. A slouching position can alter a violin’s sound in a substantial way. Consider the violinist who hunches down and holds the violin with a flattened grip. His flattened wrist won’t reach required notes, his tightened grip won’t let him vibrato and his arm won’t let him make consistent strokes. The sounds that come from his instrument are tense and choppy. Produce a good sound on the violin by sitting straight with your bow arm positioned at a 45-degree angle away from the body. Hold the violin parallel to the floor and relax the wrist so that it appears to fall away from the instrument. Grip the bow firmly with the pinky on top of the bow’s screw and the thumb pressed inside the bow’s handle. Point the bow wrist towards the instrument when the bow is placed on a string and prepare to pull the bow straight down (not curved) so that the bow hand’s heel points away from the violin. Often, the key difference between a good violin sound and a bad violin sound is its player’s strength and confidence. Violinists who aren’t very confident in their abilities tend to play with shaky, nervous strokes at low volumes. Confident violinists, on the other hand, play firmly and loudly, and they produce smooth, intentional sounds. 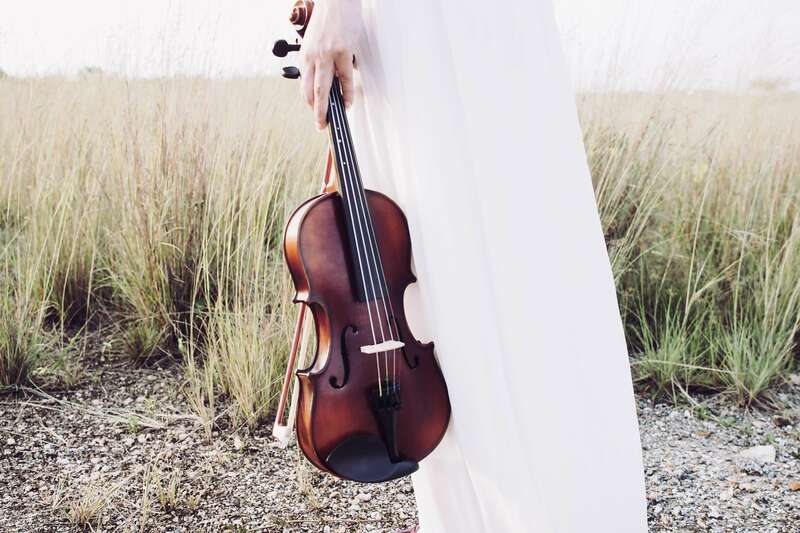 Play like the confident violinist by pushing and pulling the bow firmly against each string while playing and pressing each note with just as much intention. It’s a necessary component in music because it breaks up an awkwardly long monotone sound into a varied one that emulates singing. It also gives music feeling and expression. To vibrato, press a note firmly and rapidly rock the finger back and forth while stroking the string firmly and consistently. Like with tuning, listening to how you sound forces you to pay attention to the sounds that you make. It also points out areas where you can improve. So record yourself playing a song on the violin and note areas that aren’t confident, expressionistic, or in tune. Then target those areas for improvement. Simone is pretty old school. She likes folk music and all the classics, but she doesn’t mind hitting the pop radio station once in a while!